Toronto is a great city to visit in September with the summer festival vibe lingering on and concluding this month. You're in for some beautiful weather. It's no longer hot and humid and it is not yet cold. Temperatures have become more moderate, closer to the 60s F with little humidity. By mid-September, leaves are starting to turn color from green to vibrant orange, yellow, and red. By the end of the month, leaves may even be hitting peak fall foliage viewing. 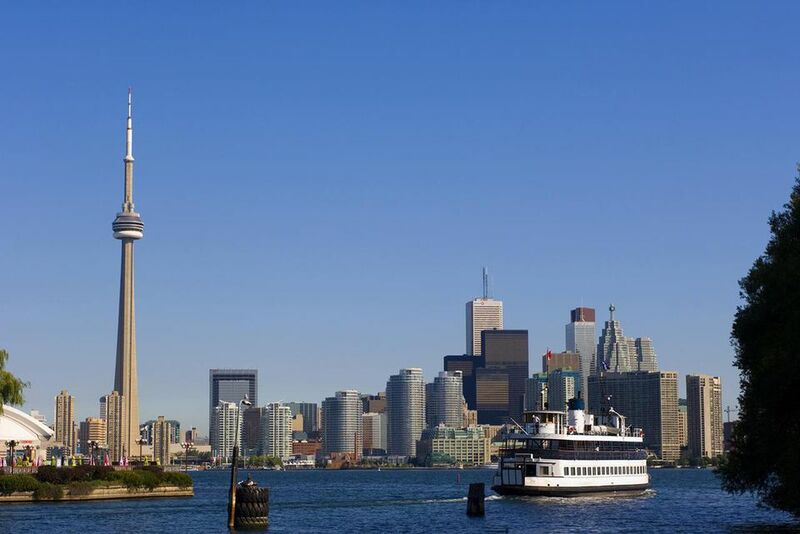 The diminished crowds and pleasant weather make September an ideal time to visit the charming towns that are near Toronto, and most places across Canada including the Maritime provinces, Quebec, or Western Canada. Fewer tourists mean travel and hotel deals, too. Weather in September is pretty reliable with the worst case scenarios not being bad at all. The average temperature is comfortable in the 60s. During the beginning of the month, the temps may creep up into the 70s and 80s during the day, so you might need more t-shirts than, say, a parka. The average September high is 69 F, and the average September low is 48 F. Snow doesn't usually start until November, but rain is a possibility. You can expect rain about five days of the 30 days that are in September. Visitors to Toronto in September should be prepared for a variety of temperatures. Pack clothing that can be layered. Bring t-shirts, but just be sure to have a sweater or jacket on hand. Same with shorts, you can pack those, but make sure you have long pants, too. You can't go wrong with long-sleeve shirts and closed-toe shoes. Bring an umbrella in case of rain. As well, bring a sunhat, sunglasses, and sunscreen for those bright, sunny days. Many outdoor activities can still be enjoyed comfortably with just a little extra clothing. Go hiking, walk the beach, or sit ​on an outdoor patio. The illustrious Toronto International Film Festival gets underway in the second week of September. The onslaught of A-list celebrities, media, and fans can make hotels pricey and packed that week. The Toronto International Film Festival: The Toronto International Film Festival is one of the largest publicly attended film festivals in the world attracting more than 480,000 people annually, screening more than 375 films from more than 80 countries over 10 days. Canadian National Exhibition: From mid-August through Labor Day weekend, the national exhibition is one of the largest annual fairs in North America. There are aerial acrobatics performances, ice skating shows, an air show, animals, exhibits, a huge carnival with rides and games, musical entertainment, and the list goes on at Toronto’s Exhibition Place. Artfest: The first weekend in September, celebrate painting, photography, sculpture, fine craft, live music, and more from Canada’s top artists at Artfest at the Distillery Historic District in downtown Toronto. Free admission. Cabbagetown Festival: Toronto hosts a day-long giant street fair with a kid's zone, street vendors, and food vendors with music and entertainment for the whole family. Beer Week: Toronto's Beer Week is a series of events dedicated to showcasing the best of Toronto craft beer over seven days in September. Summer Music in the Garden: The summer concert series at Toronto's Harbourfront Center features 18 free concerts in the summer up through the middle of September showcasing outstanding artists and a wide range of musical styles. Concerts take place most Thursdays at 7 p.m. and Sundays at 4 p.m. and are approximately one hour in length. Bench seating is limited, so feel free to bring a blanket or lawn chair. Oasis Zoo Run: This is the annual fundraiser run/walk for the Toronto Zoo. Open to all runners, walkers, and fitness folk of all ages and abilities. The whole family is encouraged to come for a day of fitness, fun, and fundraising. The first Monday of September is the Labor Day holiday. Banks and most stores will be closed. Expect crowds that weekend. Kids go back to school the day after Labor Day so roads get busier again. If your trip spans from the end of August into September or is at the tail end of the month with part of your trip in October, there are plenty of activities in those months, too.